If osso bucco is a complex symphony, baked alaska is a frivolous operetta and a jam doughnut is a song by Cliff Richard, then a bowl of fine soup is a fugue. The best soup unites ingredients that act beautifully together; separate but always enhancing and echoing each other, just like a fugue. As I write this, I’m listening to Bach’s The Art of Fugue. It’s a piece of music I can listen to endlessly and often do. My fugue soup is the perfect accompaniment – and very satisfyingly it’s not just fugal but frugal. 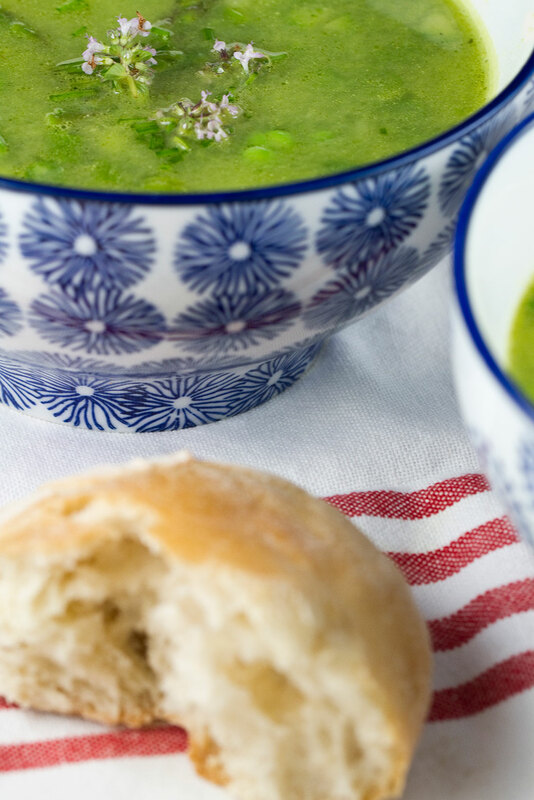 The only essential thing about this soup is that it should be cooked so lightly as to keep its bright green hue – khaki vegetable soup is more requiem than fugue. But you can vary the ingredients depending on the season. That way your soup will be both different and the same, as is a fugue. Bring the stock to a simmer. Add the broad beans and blanch for 4 minutes. Remove with a slotted spoon and put aside in a bowl. When cool, peel off the leathery skins and discard. With the stock still at a simmer, add the asparagus and one of the diced courgettes to the liquid and blanch for 3 minutes. Remove these vegetables too and put aside. Add the peas. Blanch for no more than 1 minute if they’re frozen and 3 minutes if they’re fresh, before removing and once again putting to one side. Reserve the stock. 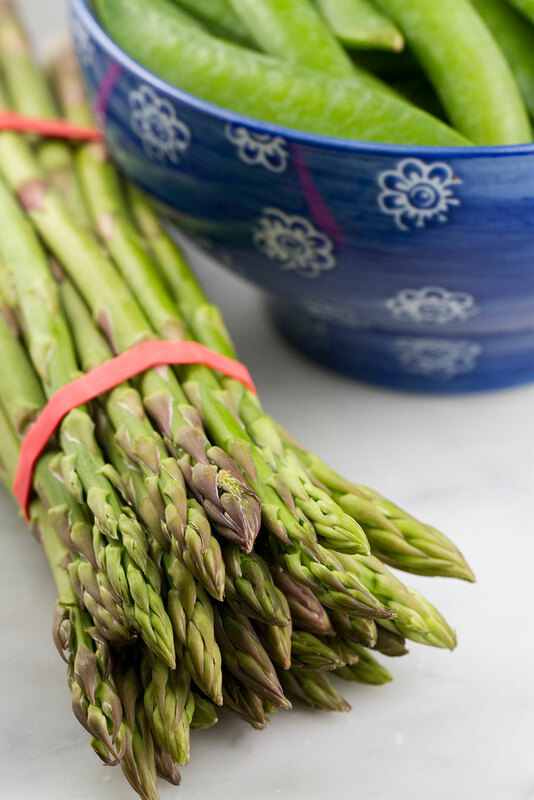 In a small frying pan, gently heat the chopped spring onions and garlic in the olive oil. Allow to soften but not to brown. Add the second diced courgette to the frying pan and allow it to soften too. Tip the onions, garlic and courgette mixture into the stock and cook gently for about 3 or 4 minutes. Add half the blanched peas and heat for a further minute. 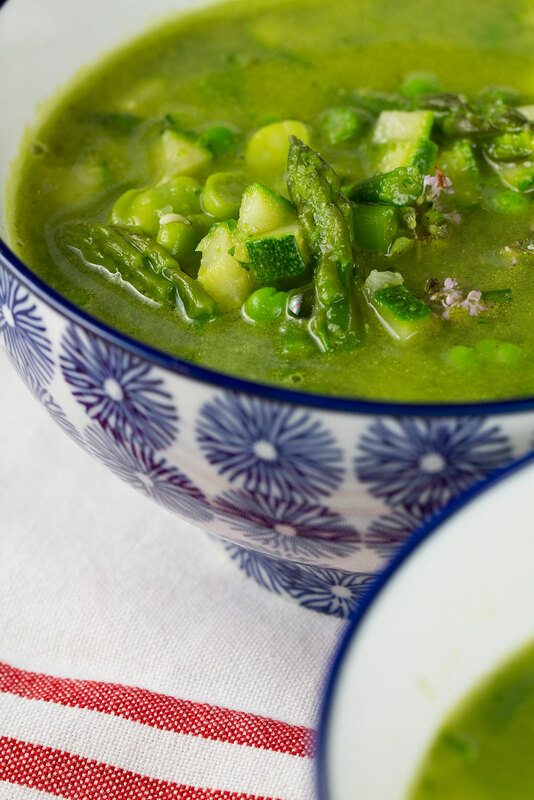 The courgettes and peas should still be bright green – it’s crucial not to overcook the soup and thereby allow shades of combat trousers to enter the spectrum. Process with a stick blender in the pan until smooth. Just before serving, tip in all the remaining blanched vegetables that you put to one side at the start. Season to taste. Ladle the soup into bowls in which you have placed some shredded fresh basil leaves. Top with a handful of chopped chives and some herb flowers. Eat while listening to my favourite performance of The Art of Fugue, by the Russian pianist Rustem Hayroudinoff. It’s the version chosen by novelist Vikram Seth for the CD that he compiled to accompany his exquisite musical novel An Equal Music. So in true fugal counterpoint, you can eat fugue soup, while listening to the The Art of Fugue and reading about The Art of Fugue at the same time. What could possibly be more fugal? Previous PostReview: Polpo by Russell Norman Next PostJust How Pink Can You Get? 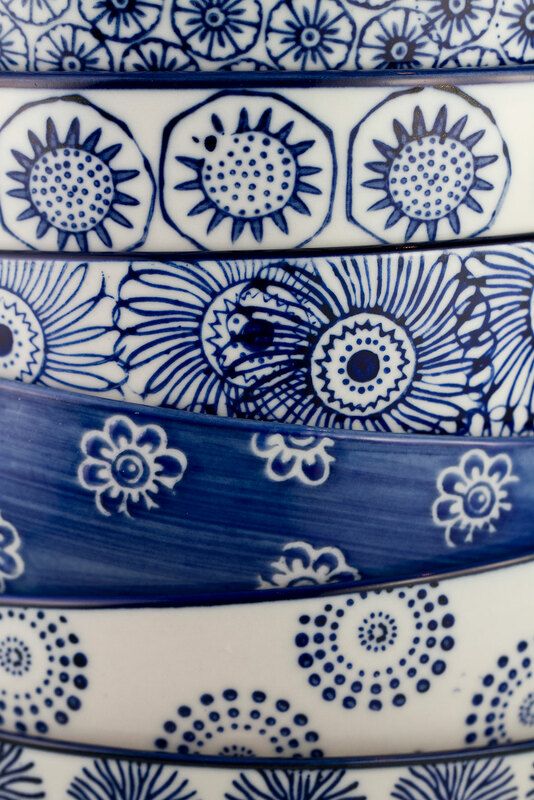 A lovely post – your crockery and the photography of it is knockout. Lovely idea too. Your blog must be the best fusion of cooking, photography and the arts out there. A literary and comestible treat. High praise – thank you so much, Jakey. I like the idea of a new form of fusion cooking. That soup looks delicious, especially in those beautiful bowls. I’ve been looking for classical music to listen to, todays writing will be to the soundtrack of Bach, thanks for the recommendation. Thanks, Ruth. I hope the Bach does the trick. There aren’t many things I can listen to while I’m writing, but this is one of them. I’m just wondering whether my lunch of chicken and sweetcorn chowder constitutes a fugue. Maybe it is a sonata. It was very delicious anyway. Symphony, opera or concerto, your lunch was clearly a work of art. I think this is your photography at its very best Charlie. 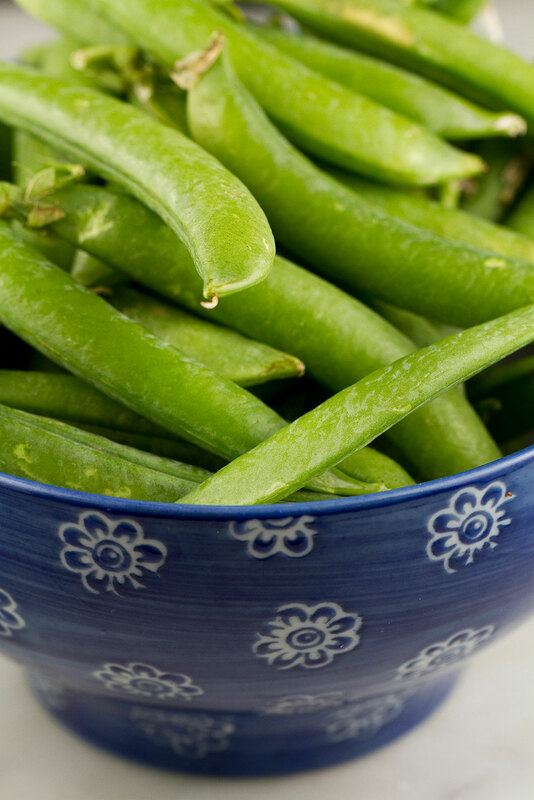 Especially the close ups of the pea pods. You need to put all these recipes into a cook book, I know that everyone else will agree with me! You’re very generous, Boinsey – thank you. 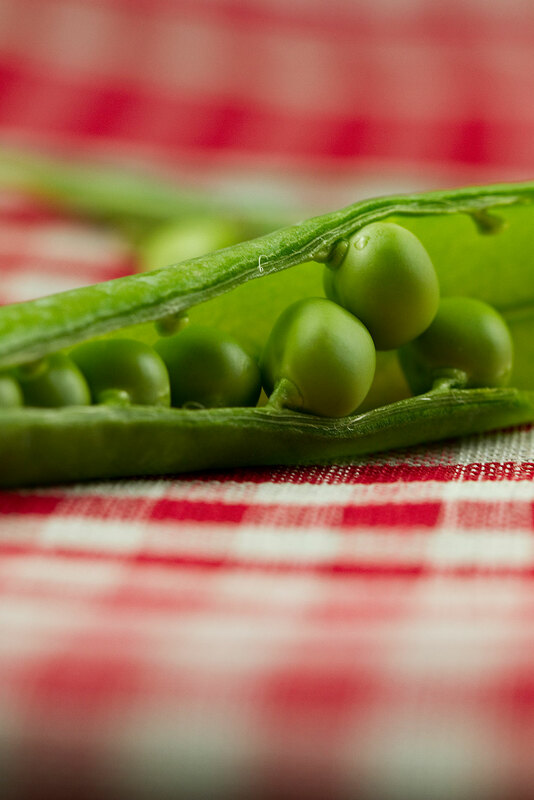 I will keep revisiting the images of the peas – they are absolutely beautiful. 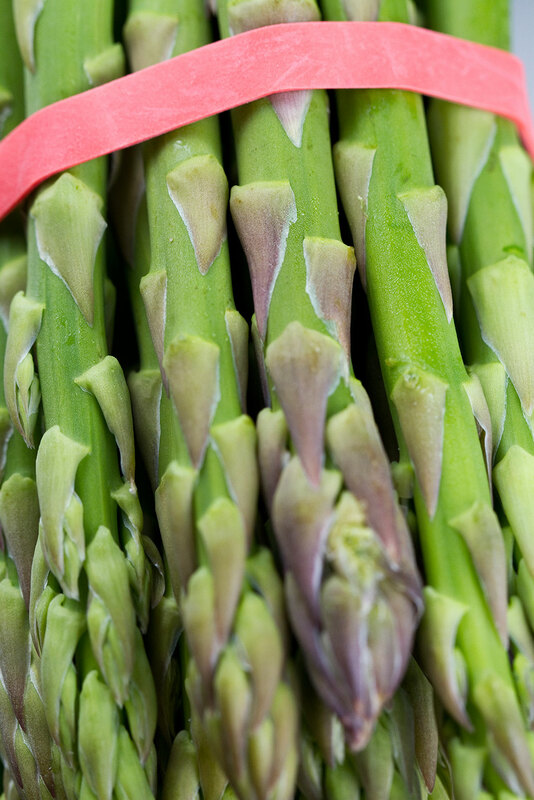 A vegetable that can only be eaten fresh from the garden or at a stretch from a farmers’ market picked that morning – while listening to Bach of course! I couldn’t agree more, Sally. 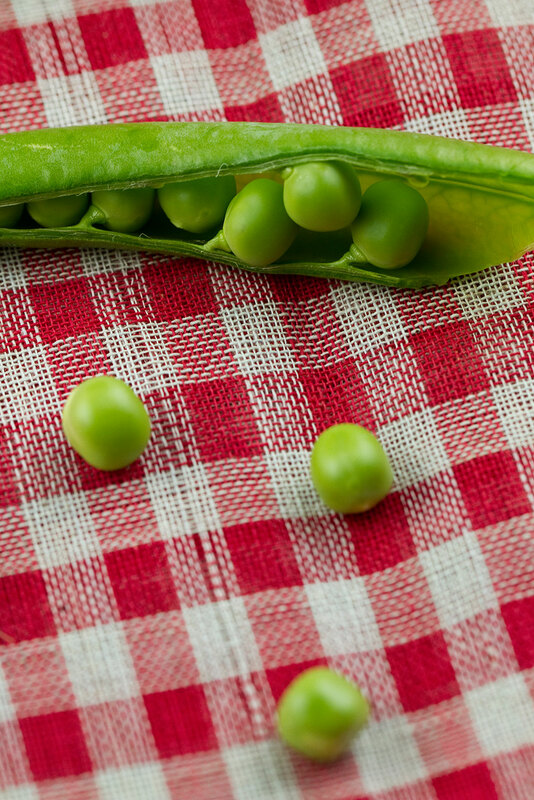 Starchy, fresh peas can be such a disappointment. 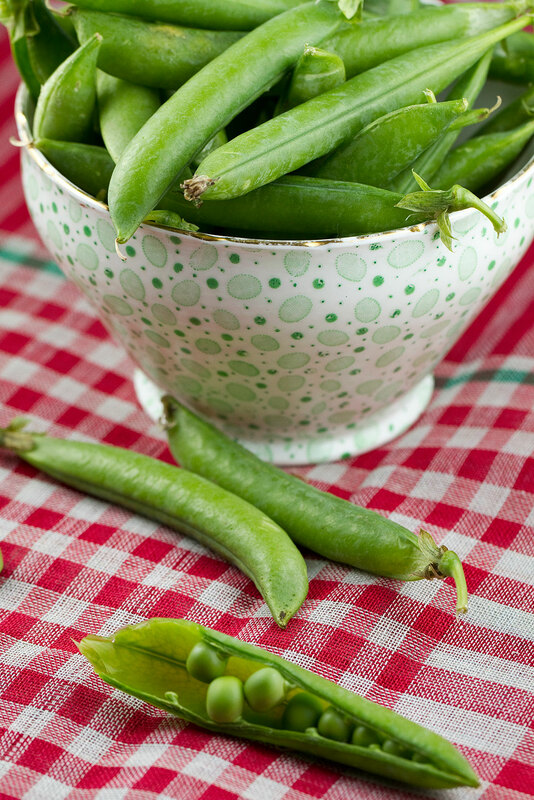 Frozen peas are so much better, if the fresh ones aren’t just picked. I once had a sweet corn party in the garden with a camp fire and a pan of boiling water. The time between picking and cooking the corn was precisely 1 minute – just long enough to peel the outer layers off! The bowls were a birthday present from my sister – I love the colour too. I’m pretty sure she got them from an online company called Not On The High Street – I hope that helps. Where did she get the bowls? Your posts always make me smile in their cleverness and creativity. As does your food make me want to taste it. Lovely soup. Jamie, thank you so much for your ever generous comments – so cheering. Oh How I love this post. Your writing is gentle, funny and wonderful. 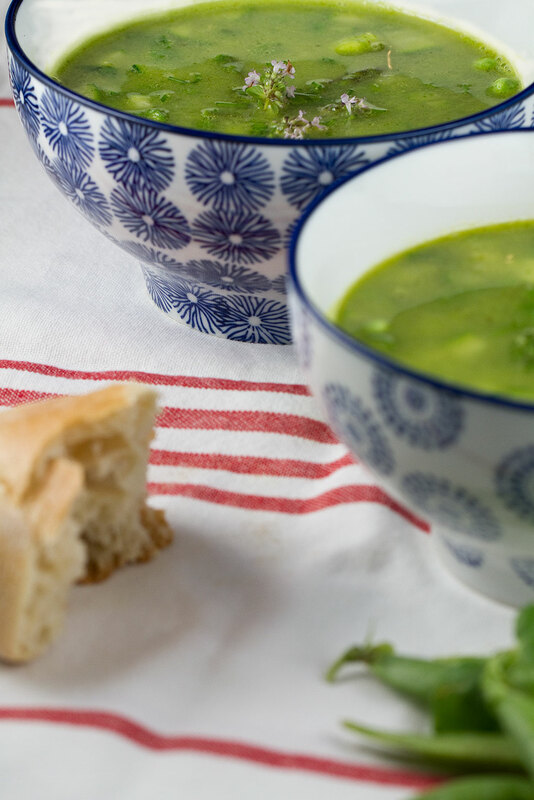 I love the images of the bowls (I have the exact same bowls) and the soup looks lovely! Love starting my days with your posts! I couldn’t be happier to have made you laugh, Meeta – thank you! Where do you two get those wonderful bowls? Meeta, Where did you get the bowls? I have been looking for these forever! Oh wow – I’m so enjoying your writing and then the flavours reach out and entice me in even more. Can’t wait to try this recipe. I laughed out loud at Cliff Richard equated with a jam doughnut! Sugar coated lips and all. I’m glad it made you laugh – it’s such a joy when something I think is funny makes people smile. 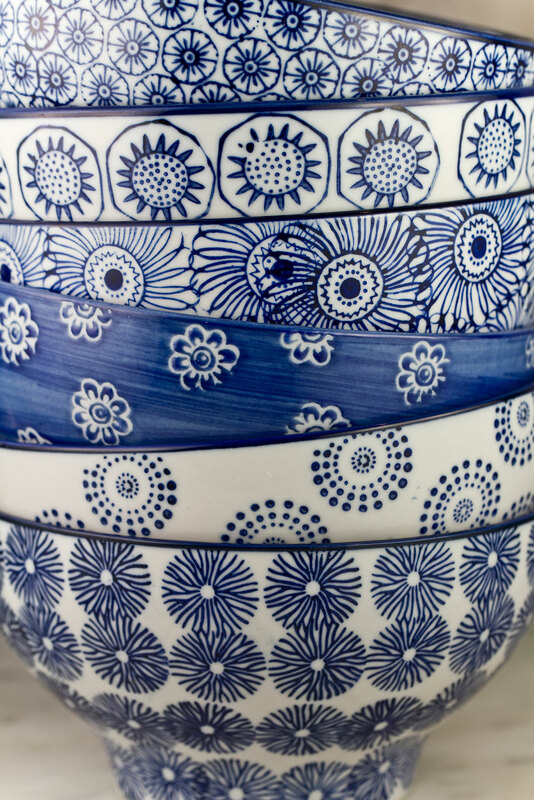 I love your indigo crockery – where are they from? Where did your sister get the bowls – love them.